We offer insurances for your motorcycle, ATV, boat, and other personal crafts for Mexican Nationals who are traveling into and within the US. Speak with someone directly in our McAllen office today, give us a call or come by! Coverage offered is the minimum limits required by the State. Coverage ranges from 1-day on up to 1 year. Coverage is for the United States and Canada. For US residents we offer coverages for your motorcyle while traveling through the US, and also we offer policies while traveling abroad. property, up to the limits you select. Comprehensive & Collision - This motorcycle insurance coverage pays to repair or replace your motorcycle if it's stolen or damaged in an accident, regardless of who is at fault. For each coverage, you select a deductible that you pay out of pocket. We pay for the remaining damage. Medical Payments - MedPay covers the cost of necessary medical care you receive as the result of a motorcycle accident and can be used regardless of who is at fault. MedPay often is limited to medical treatment received within the first three years after an accident and is limited to a specific dollar amount. In some states, MedPay only applies after other medical insurance is exhausted. Custom Parts & Equipment - When you purchase Comprehensive or Collision motorcycle insurance coverage, at least $3,000 of Accessory coverage for your custom parts and equipment is included in most states. Up to $30,000 of additional Accessory coverage can be purchased to cover custom parts that exceed the included value. 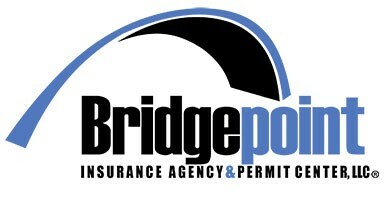 At Bridgepoint we can cover your ATV and all of your other vehicles. Give us a call to get a quote today! Boat insurance covers many kinds of boats, so even if you're looking for specific coverage—like personal watercraft insurance, jet boat insurance,sailboat insurance, fishing boat insurance, or house boat insurance—a boat insurance policy is what you need.